The line between what is sacred and what some may call “secular” or “profane” is a famously difficult line to navigate. Volumes have been written and argued over regarding where that line is, how to recognize it and how to communicate that line to others. 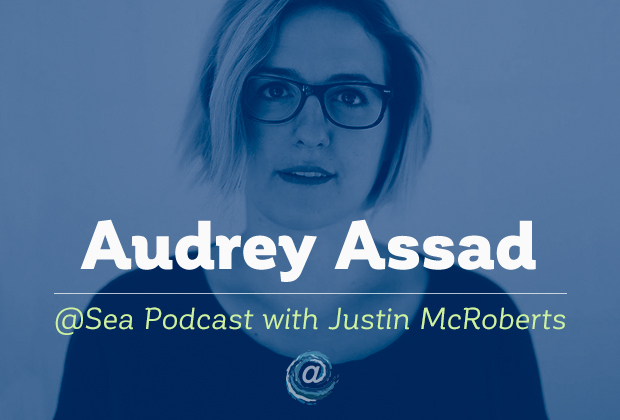 My guest on episode 11 is songwriter and advocate, Audrey Assad. Her work suggests that the real task might not be so much finding, navigating and communicating a line between where God is and where God isn’t … but sifting, granularly, through one’s own human experience in expectation and hope of discovering a multitude of divine moments and expressions. That’s a practice my faith tradition calls “discernment.” And among the many admirable characteristics I think you’ll discover in Audrey Assad during our conversation, perhaps most notably is that she is faithfully and generously discerning. NOTE: You can support the @ Sea Podcast and be part of the community that makes this work possible.